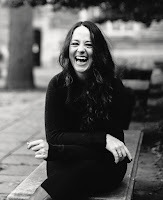 Bestselling author Nicola Rendell loves writing naughty romantic comedies. After receiving a handful of degrees from a handful of places, she now works as a professor in New England. 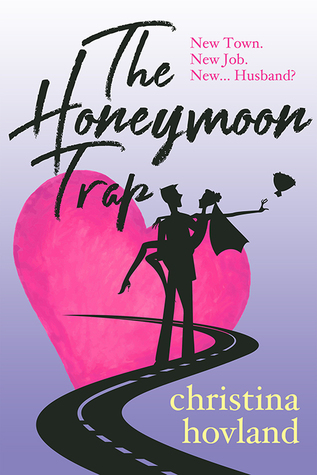 Nicola’s work has been featured in the Huffington Post and the USA Today blog Happy Ever After. She loves to cook, sew, and play the piano. Her hobbies might make her sound like an old lady, but she’s totally okay with that. For more information and updates, visit www.NicolaRendell.com. I love Renee Carlino’s writing style and her stories are always so captivating. I couldn’t wait for Blind Kiss, and she definitely didn’t disappoint! With each new book from her, she just seems to get better and she always exceeds my expectations, delivering solid and unique stories that you can’t help but feel emotionally invested in. 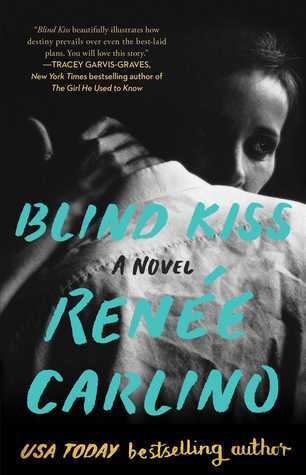 Blind Kiss is one of those books that will hook you from the start, and stay with you long after you have turned the last page . Penny is a housewife that spends her time dreading her son leaving for college and sitting outside a sandwich shop that used to be her dance studio. Her marriage is failing and she can’t help but remember a time when things were different. When she was in college she was asked to undergo an experiment where she was blindfolded and asked to make small talk and kiss a stranger to see what natural chemistry was like without seeing or knowing the other person. It was intense and something that never was far from her mind, especially since it introduced her to Gavin. But what could have been so much more between them was made to be only friendship after Penny made a decision that changed everything. After 14 years though, it will be Gavin’s turn to decide what happens next as both of their lives are about to drastically change yet again. I will admit that these characters had me experiencing all the emotions. While I loved them and felt for them, there were times that they pissed me off and frustrated me. The one thing I can say for sure though is that I couldn’t get enough! I couldn’t put the book down and I felt everything so strongly! I was invested in them and really felt as though I was having my heart broken at the same times they were. I never stopped hoping that they would figure things out, and I will say that there was a lot of angst and push and pull here. While that usually gets on my nerves, it was different here. Renee Carlino writes like no one else, and she always has a way with words that is different from anyone else. Overall, this book was fantastic. While I know some readers will have some issues with the characters and story, to me it was one of Carlino’s very best! It was everything I have come to know and love from her, and impossible for me to put down. I never wanted it to be over and I was lost in this world the entire time I was reading it. I can’t recommend it or any of her books enough! To me, this is a must read!